I am Canadian. That doesn’t mean a heck of a lot to me particularly, but I say it by way of introducing this Canadian rock album. Canada probably has as much musical talent within its massive borders as any country in the world, you know, per capita and stuff. It’s a melting pot of all kinds of music from around the world. We have people proficient in all genres of music you can imagine. The diversity is incredible. Yet the powers that make the tastes here basically want you think we make one thing only: indie rock. Oh, and slightly rootsy indie rock. Or slightly indie roots rock. That could be three things, I guess. Anyway, yeah, don’t be counting on our national broadcaster’s music service to give you much hard rock or ambient or progressive rock or anything else that we make and people love in Germany and Japan. We are bearded, badly scarved hipsters playing slightly out of tune guitars in a fairly soulless way, now and forever, if some people could have their way. I may be generalizing the situation a bit, but yeah, that’s basically the way it is. Anyway, the reason I tell you this is that this particular recording by Cedar Park got some nice attention in my poor benighted country last year, and my, oh my, if it ain’t a classy, well-put-together collection of low-key pop-rock songs, lovingly produced and delivered without irony. What’s the world coming to? 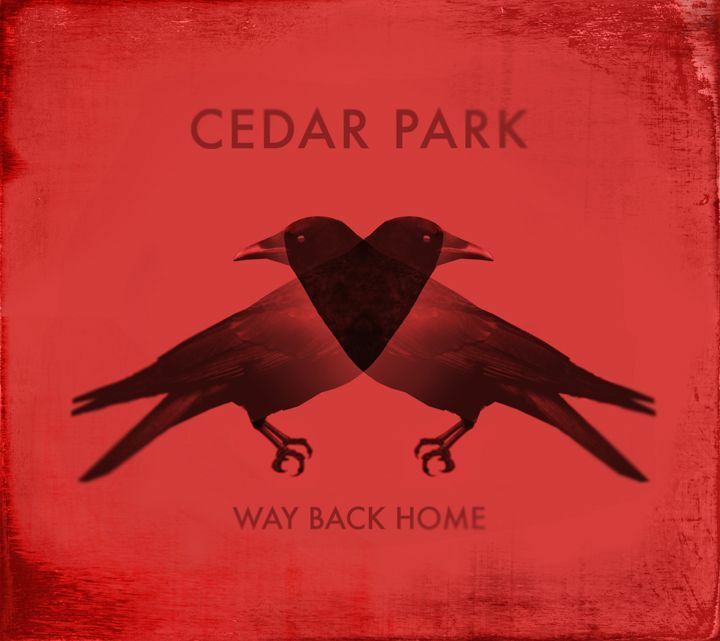 The man behind Cedar Park is one Dylan White, formerly of a band called How I Won the War. That band was a pretty good Britpop-rock influenced combo which released one good album before dissolving. White took an interesting tack with his first solo recording: he sings hardly any of the songs. Working with producer Emm Gryner (a popular Canadian singer-songwriter), he rounded up guest vocalists for each track, thus making Cedar Park the most unified-sounding non-band of all time. Personally, I find that White has a perfectly pleasant voice and would be happy to listen to him singing the songs, but since this is what we’ve got, I think it works out quite well. I have to admit that I’m not really familiar with the backgrounds of most of the guest vocalists on this recording, but I almost prefer it that way. I’d rather judge them on their performances on this recording alone. The first track, “What She Tells Me”, is performed by NQ Arbuckle. It’s a really groovy piece of Byrds-esque pop that would fit nicely on a Tom Petty, Jayhawks or Wilco (at their most basic) album, with some fine McGuinn-style jingle-jangle and a super-catchy melody. The singer has a pretty nice baritone going on. An excellent start to the album. “All by Myself” is a piano-led piece sung by White in a breathy tone that would indeed go very nicely on the Bee Gees’ Trafalgar album. Could White be the new Robin Gibb? You could do worse, as long as you forget what the Bee Gees did after 1974. And I choose to. “Believe Me” is another piano ballad accompanied by some pretty volume swells. It’s sung by a fellow named Kalan Porter, who was unfortunate enough to win the Canadian version of “Idol”. Yep, that thing. Let’s not hold that against him, because he’s got a good voice. This track’s overall perhaps a touch too adult contemporary in the arrangement for me, but I’m still not kicking it out of bed. “Think So Now” is an uptempo pop-rocker with some cool horns and some nice crunchy guitar punctuation. It’s sung by Esthero, a lady singer who I believe has done well for herself. Then we get to the celebrity guest turn. We’re back in piano ballad territory, this one in a McCartney style and sung by James Iha. Yes, that guy, Corgan’s foil in Smashing Pumpkins, who released his own solo album back in the day, I recall, that wasn’t too bad at all. This is more in a style I can appreciate, with some nice drifting ambient-style textures going on behind the chords. “Time After Time” is a folk-rock strummer sung by two people I haven’t heard of in a duet. “Over My Head” finishes the cycle of piano songs in another duet with Usra Leedham, who possesses quite a soulful voice of her own. Interestingly, I apparently once shared a record label with her in France or something while I was playing glam rock. Yes, I played glam rock and was not half bad at it, I hope. We finish off with “Let’s Make the World Go Round”, the obligatory inspiring closer, a muscular mid-tempo song with chiming electrics, a super-catchy chorus, group vocals and some uplifting lyrics. This is an excellent debut of pretty songs that have been put together without a trace of irony or obvious desire for cool, and I appreciate solid songcraft. I look forward to White’s next effort, particularly if he sings more of the songs.